Made this on Good Friday and was pretty satisfied with the result as it’s been sometime since I made dinner rolls or buns. They are sweet with a dense texture so if you are looking for fluffy buns, this is NOT the recipe to use. 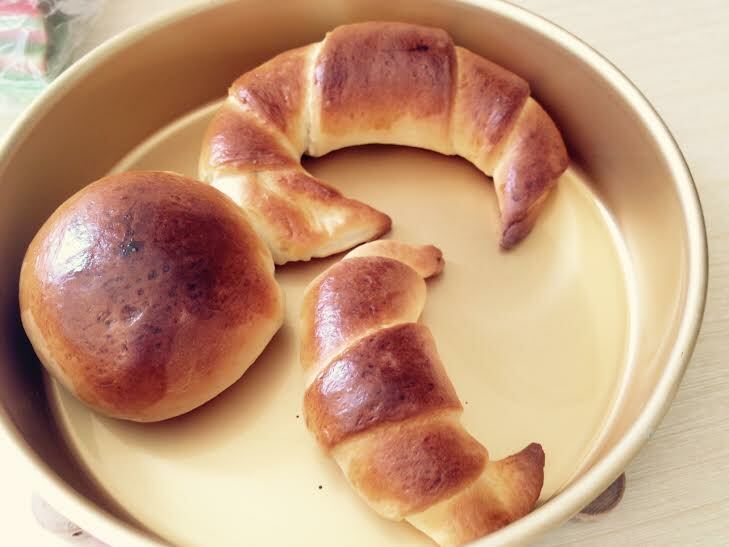 I made a batch of 10 rolls with extra for experimenting with crescent shaped buns. 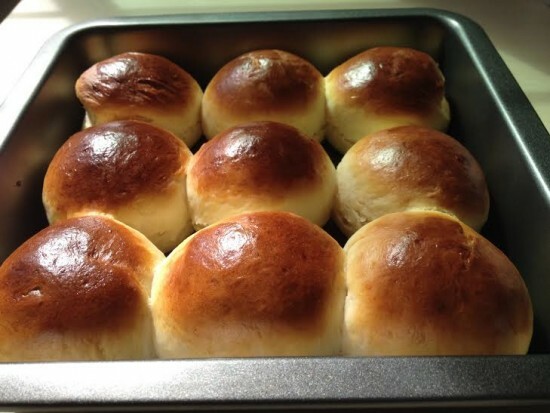 You could easily make 11-12 buns if the sizes of the buns are not too big. Pour warm milk into a bowl and sprinkle yeast over the surface. Leave for 5-10 minutes. In the same bowl, beat in sugar, eggs, butter and salt (if any) and blend thoroughly. Stir in the flour gradually, to make the dough. Cover the dough and set in a warm place to rise until double its’ size, about an hour. Punch down the dough and then break off the dough into 12 equal sizes. Roll each dough into round shape and place them close to each other in the baking tray. They will expand in the oven. Brush the top of the dough with the egg wash and then, bake in preheated oven until top turns golden brown, around 10-15 mins.